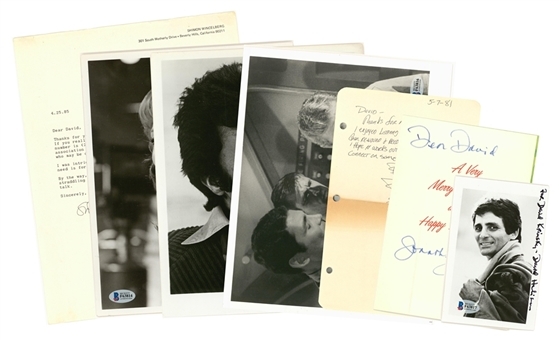 Presented here is a collection of six science fiction television actors signed photographs and letters. 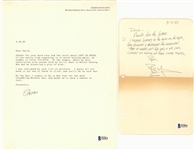 The first item is a handwritten note signed by Bill Mumy of Lost in Space fame in black pen. 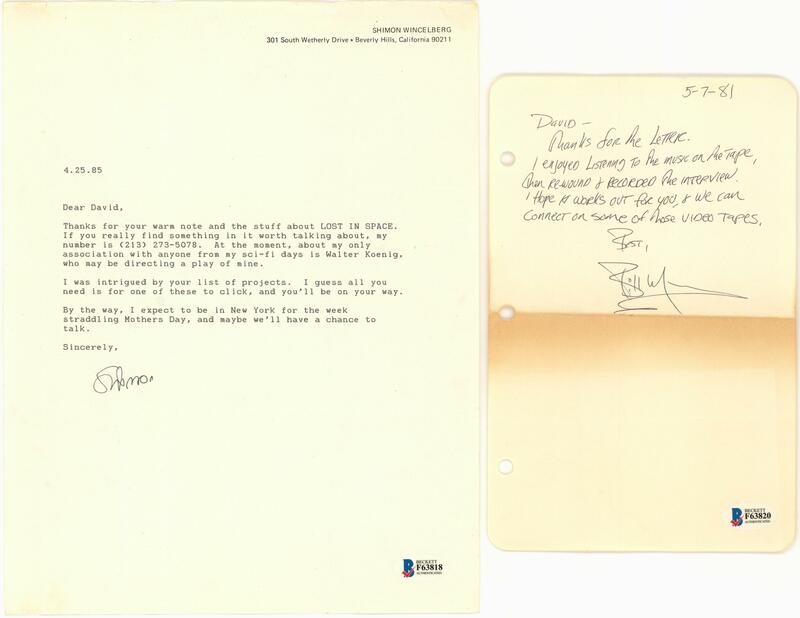 The second item in this lot is a typed letter signed in black pen by Shimon Wincelberg. The third item is a 5.5 x 3.5 inch black and white photograph signed and inscribed “For David Krinsky” by David Hedison in black marker. 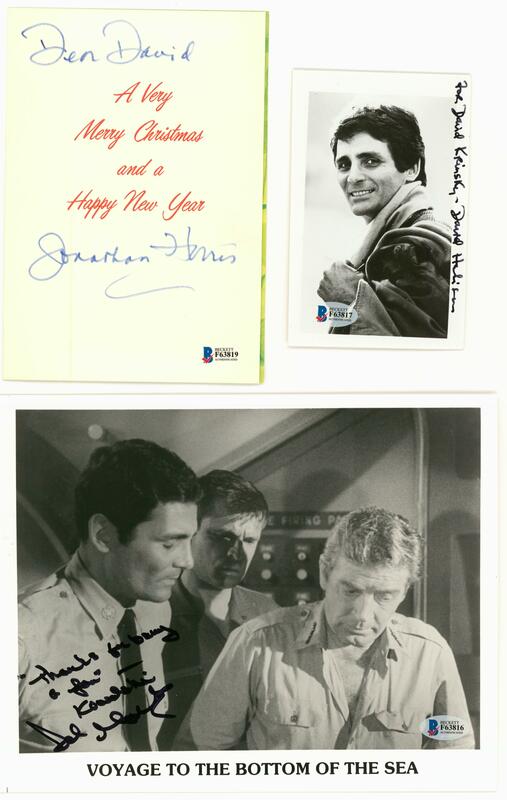 The next item is a greeting card signed in blue marker and inscribed “Dear David” by Jonathan Harris. The envelope this card was sent in is included as well. Up next is an 8 x 10-inch publicity photograph from Voyage to the Bottom of the Sea signed in black marker by Del Monroe. Monroe inscribed “Thanks for being a fan – Kowalski” above his signature. Please note there is evidence of a personalization removal. 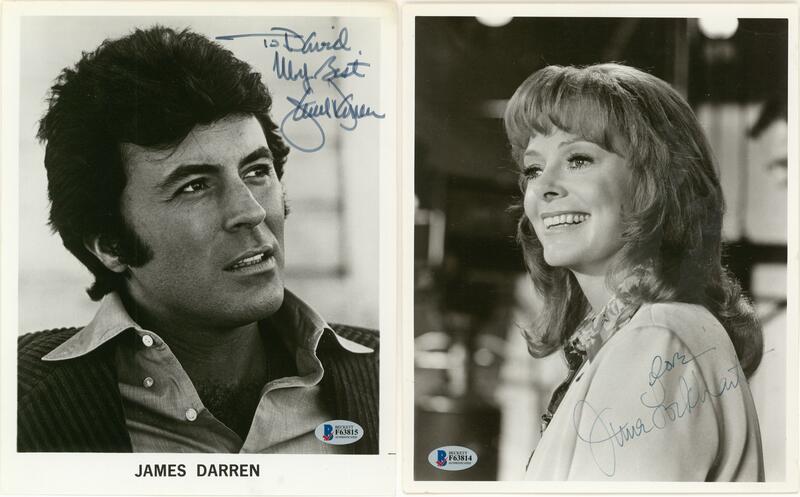 The fifth item in this lot is an 8 x 10-inch photograph signed by James Darren in blue marker and inscribed “To David My Best”. The final item in this lot is an 8 x 10-inch photograph signed by June Lockhart in blue marker. Each item in this lot comes with a COA from Beckett Authentication Services (F63814 through F63820).